Robertson’s English language courses are ideal for professional or business people who wish to increase their English language skills in professional situations. By practising real work situations to develop skills and fluency you’ll see quick results and become a more effective and confident English speaker in the workplace. On-site English lessons for small groups of employees at a time of your choosing. Half or full days of intensive English language training which help to get a new employee off to a flying start. If you are rarely in one place, in remote locations, or if you are simply on a restricted budget, our Online English courses might be the option for you. Why choose our English language courses? Flexibility: We offer our language training courses globally and are flexible with dates, times and venues. Relevant: We establish your current abilities and your needs and develop a course specification designed with your objectives in mind. Click here to find out more about our free training needs analysis. 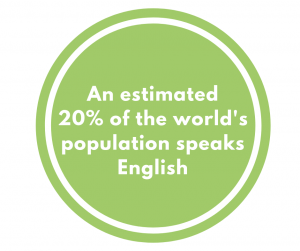 Reputable: Robertson Languages International has been the preferred language training provider of many since 1989. We are accredited with ISO 9001, so you know you’re getting a high-quality service, every time. Sector-Specific: We look for language trainers that have experience in your field, so you know that you’ll be able to communicate freely and effectively in your business setting. Read more about our language trainers. 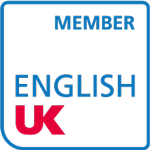 If you’d like to discuss our English language training, or anything else for that matter, feel free to get in touch on +44 (0)118 934 6000 or fill in our contact form.